Starting today on QVC! 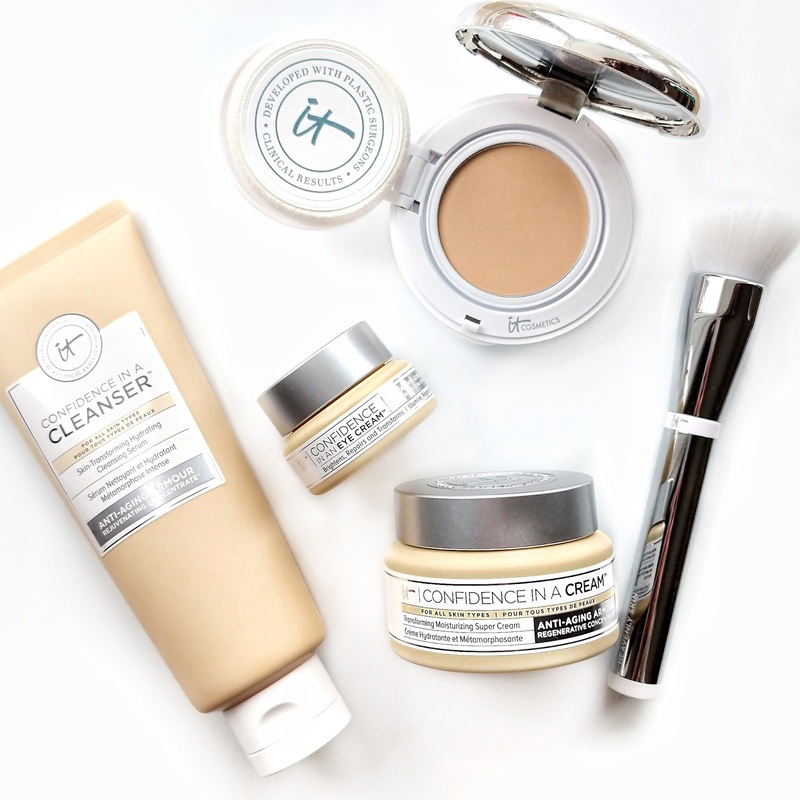 The IT Cosmetics New Year New Confidence in Your Skin Collection is available for presale (the TSV is on 1/13). If you've been wanting to try IT's skincare this is the kit you need to try because the price is kind of insane compared to buying these individually at other retailers. Confidence in a Cleanser ($28)- This is a super gentle, non-greasy cleanser that doesn't strip your skin and removes makeup easily. Confidence in a Cream ($48)- I love this moisturizer...it's super hydrating but not greasy! It gives my skin more of a matte finish so it's great under makeup. It makes my skin feel so soft and smooth. Confidence in an Eye Cream ($38)- Claims to reduce puffiness, fine lines + wrinkles, and darkness and helps to firm the under-eye area. It also has Drops of Light technology to brighten right away. Confidence in a Compact ($38)- I wore this foundation all summer long...it was my go-to because it's not as heavy as the CC+ cream and still has the SPF 50+. It doesn't have quite as much coverage but it's buildable and it works really well on dry skin because it doesn't cling to dry patches. Heavenly Skin Skin-Smoothing Complexion Brush ($48)- IT's brushes are the best, and this one is perfect to apply the foundation with. These are all full sizes and a $200 Value! I love every single one of these products so this is my favorite TSV in a long time! Are you picking this one up? *Product mentioned was sent to me complimentary from IT Cosmetics. Tarte Shape Tape Foundation is HERE! New Burt's Bees Lip Treatment, Lip Scrub, + More!